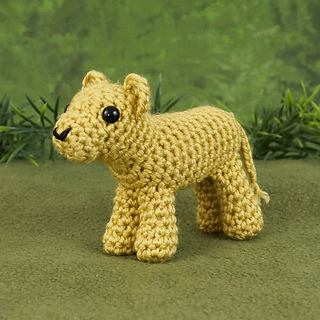 An original adorable crochet amigurumi baby Lion Cub pattern by June Gilbank. 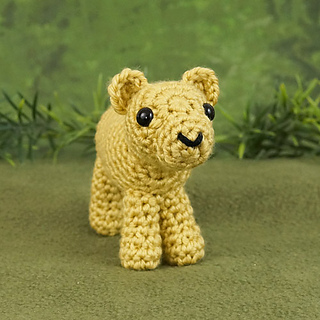 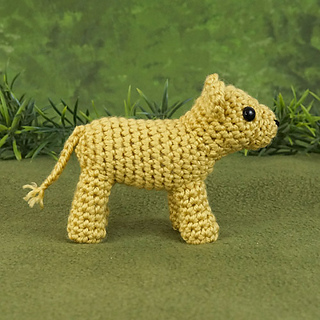 Lion Cub is very fast to crochet, at only 5” long, so you can whip up a few realistic baby lions in no time! 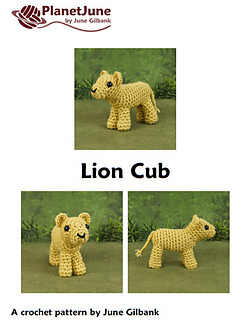 They’re sure to charm with their big cub paws and cute little faces. 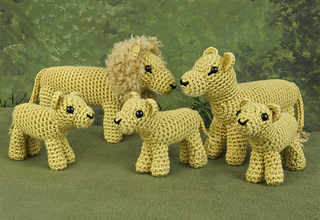 Also for sale as part of the Lion Family multipack, with adult lion and lioness patterns!